Nowadays, the data stored on our smartphones is even more valuable than the phones themselves. Many people are cautious with security of cloud services and don’t want to pay for their subscription plans, so they often store everything locally. It is safer but there is a risk that you could lose important data when you or your kids accidentally delete them. 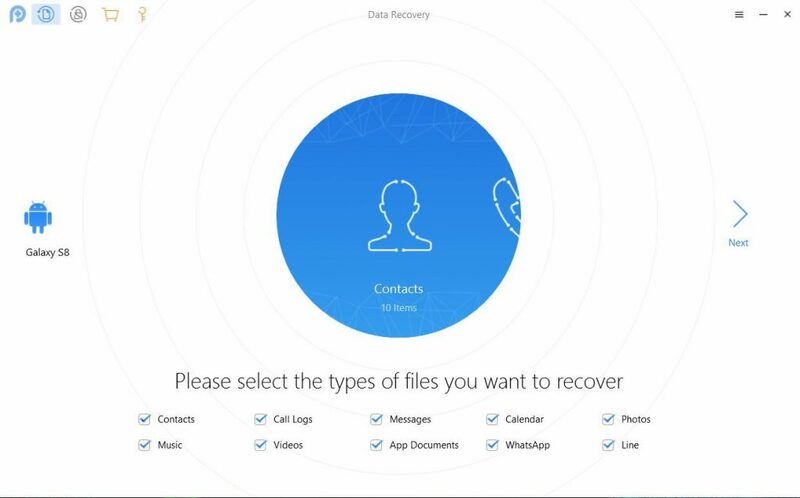 Fortunately, there are recovery apps to help you restore the lost data. 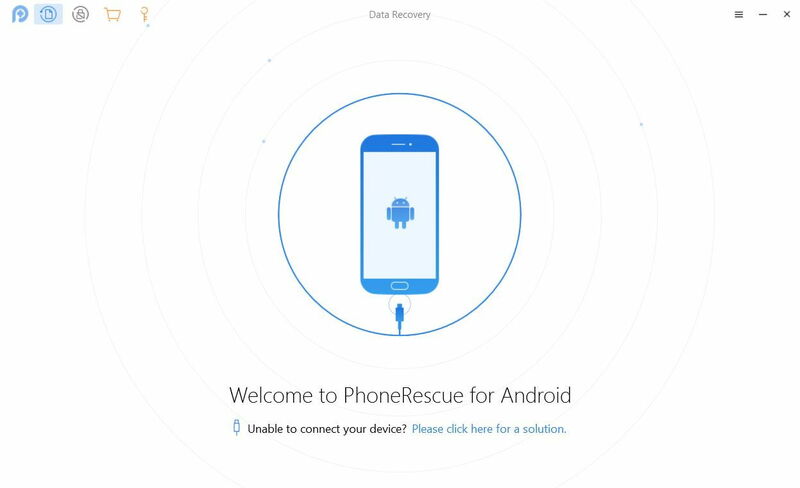 In this post, we’re checking out the PhoneRescue app and how it could be our savior. I’m so glad I could review the app because I also deleted all of my photos and videos from my Samsung phone by mistake. Although I stored them on Google Photos, the videos have lower quality and I really hoped I could retrieve 4K videos that I recorded earlier. To start using the PhoneRescue app, first you will need to download and install it on your computer. It is available on both Windows and MacOS machines. According to the developer, the app can restore as many as 31 types of data like messages, photos, contacts and even data from WhatsApp, Kik and more. If you have used your phone for a long time, you might have a vast amount of important data that you’re not aware of. 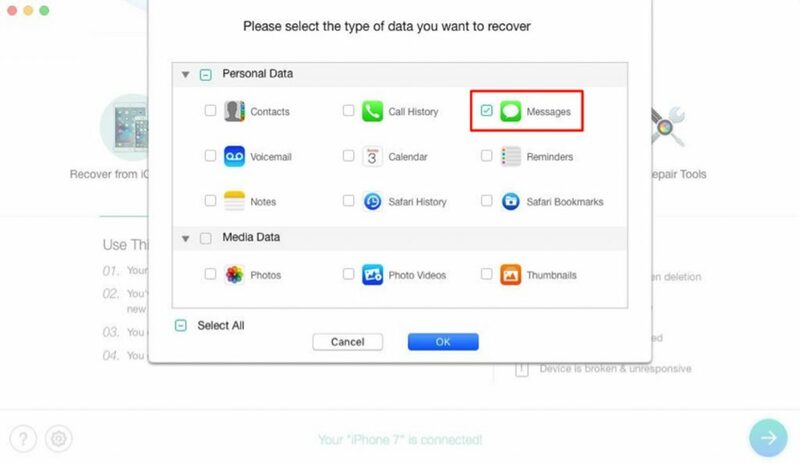 Now check how it works to retrieve deleted text messages or photos from iPhone first. 3. By default, all categories will be selected. Please uncheck Select All option and then choose only Messages or Photos. Click OK to start scanning. 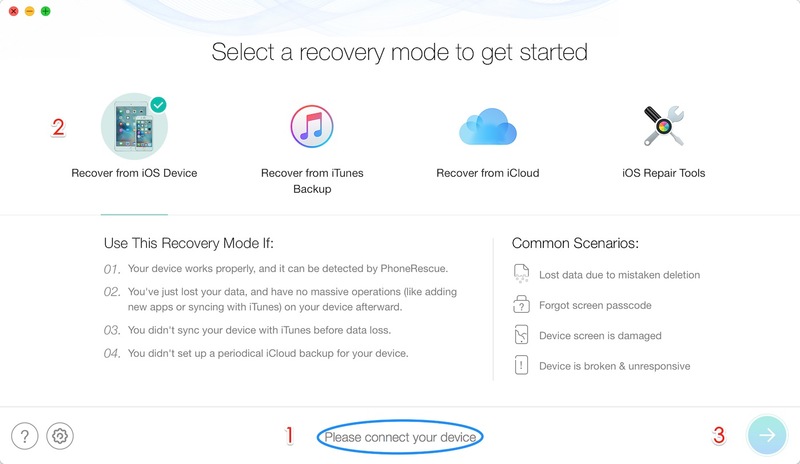 Once you launch the app, the app will suggest you to do some steps on your phone to prepare for the recovery process. For instance, you should turn on the Airplane mode to disable all wireless connections, close Contacts, Messages, Calendar, and other apps, and avoid using system cleaning apps. Next, you can connect your phone to the computer to get started. Before proceeding further, you will need to turn on the USB debugging mode. On my phone, I just go to Settings -> About Device, tap on Build Number 7 times to turn on the Developer Mode. Then, I can go back to Settings -> Developer Options and enable the USB debugging option. 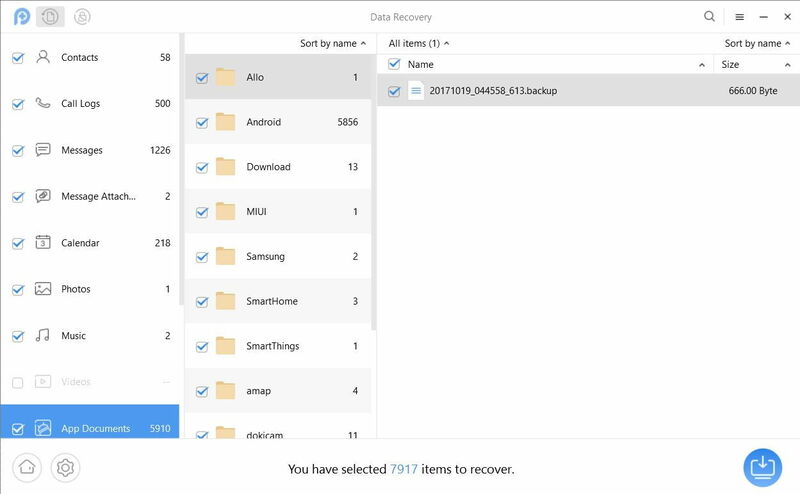 Now, you will see all data types that you can recover on your phone. These include Contacts, Call Logs, Messages, Calendar, Photos, Videos, Music, App Documents, WhatsApp, and Line. Notice that you will need to root your Android device first. If your device is not rooted, the app won’t be able to find lost data and you just can do a quick scan and it will present you with current items on your phone. What we all want to do is recover deleted items, so we need to root the device and do a Deep Scan instead. Warning: You should do it at your own risk because rooting might void the warranty and brick your phone. If you are using a Snapdragon smartphone with a locked bootloader, you might not be able to root your device. 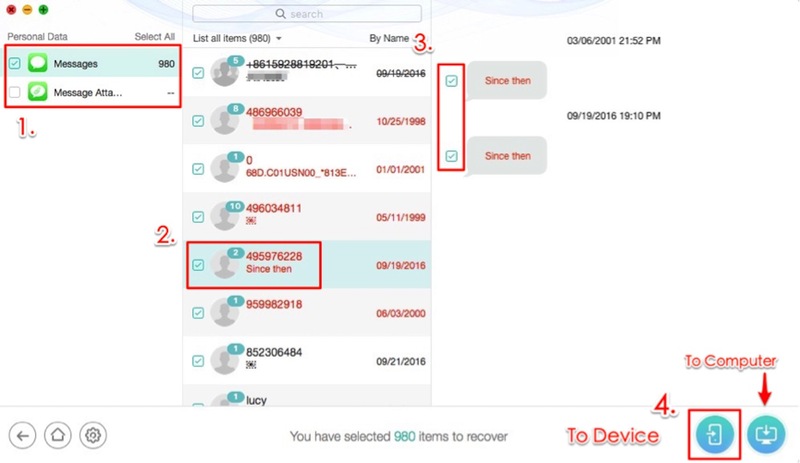 After scanning your phone, you will see a list of all data that you can recover. You can preview files to make sure they are the ones you want to recover and then selectively restore them. I’m quite surprised that it manages to show many files that I thought they have been removed completely from my device. Another function of the app is bypass lock screens with password, pattern or fingerprint. It works with almost all popular Android phones. With just a few clicks, you will get access to your phone again and all data is preserved. However, the process still requires a rooted phone. If you are interested in this tool, you can download the free trial to check it out and see if it is compatible with your devices. Afterward, you can purchase the license to start recovering your files. The single license costs $49.99 at the moment. I highly recommend this recovery tool, especially when you’re hopeless after deleting a mass of important data on your phone.